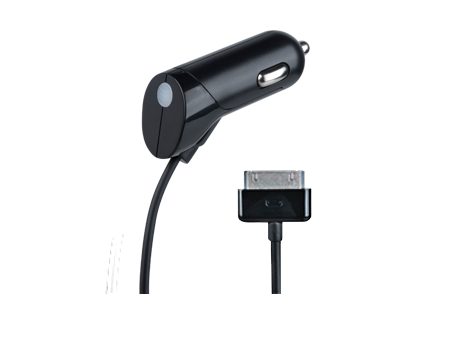 Stay plugged in with wireless devices using the Car Charger 2 Amp for iPhone and iPad. Enjoy rapid charging and a sleek, unassuming design. Sleek 2.1A, 5V car charger with an additional USB charging port allows you to keep your battery going while on the road. Features 30 pin Apple connector. Charge your phone and an additional device at the same time. USB port charges most USB powered devices, including iPods, iPads, tablets, digital cameras and more.